A mysterious and preternaturally skilled warrior enters a Ming-era city noted for its venerable martial arts schools, seeking to prove his worth. Think you’ve seen this one before? Think again. 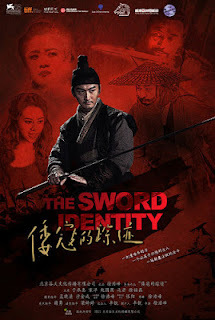 Writer/director Haofeng is out to buck preexisting notions of the classic martial arts flick, and he does so with great success, as this is a swordsman film unlike any other. Unfortunately for this viewer’s taste, he strips away the conventions without supplying a worthy replacement for them, leaving us with an inert, dull and consciously sedate “action” movie. As deconstruction of an established genre, there is little faulting the filmmakers’ efforts. However, as thrill-inducing, blade-flashing entertainment, this left much to be desired.